I picked up a NASCAR at Midwest Gaming Classic a few months ago and have been trying to fix it. My pin was apparently highly abused at a Chuck E. Cheese during it's prior life and virtually everything on it was broken. I've fixed just about everything but couldn't get the Garage Release Coil Q5 or the Inner Orbit Post coil Q23 to work no matter what I tried. Finally decided to take a look at the I/O board and was shocked but what I saw. 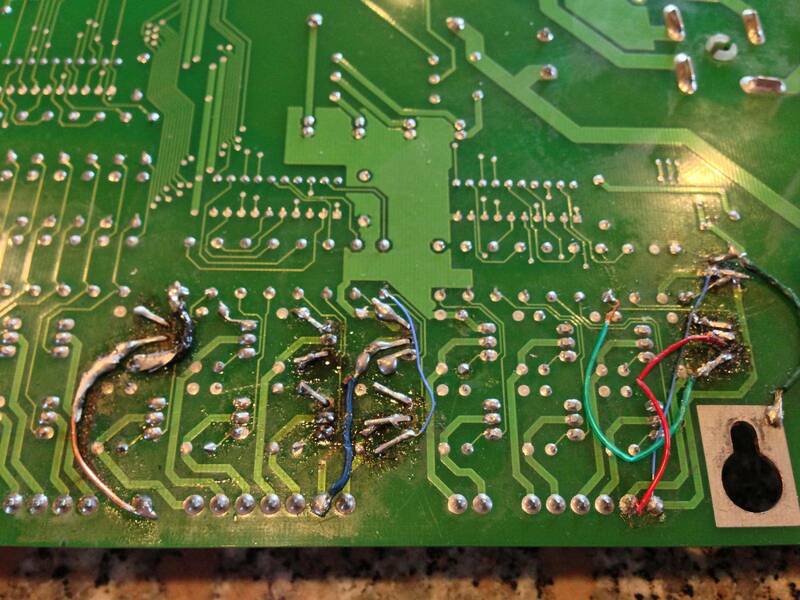 Take a look at the hack job somebody did - multiple scorch marks on the board, drive transistor replacements made with leads left untrimmed and jumper wires attached to them on the back side of the board with big blobs of solder. Some of the jumper wires were nicked and the ends had frayed copper strands that were actually touching adjacent wire traces. I was absolutely appalled! This board is on its way to TwoBits.com for repair. Hope it is salvageable. This is a great example of why amateurs should not attempt to fix boards. Here are some photos of the scorching, and the hack job. Ouch! Have people seen worse than this hack? Thats uglier than some of their pizza! Don't you just love (pronounced "loathe") guys that solder with a brazing torch? Just found out from TwoBits that this board is unrepairable. Bummer. Have to buy a new one. Local distributor said it would cost $499. Sounds like a lot. Is that a fair price or can I do better? Any ideas? Thanks. The board's not unrepairable. I've fixed much worse. It wouldn't be cheap to get right and looking good because it's obviously going to be a time consuming repair. It would certainly be much cheaper than that replacement though. THAT is one fugly board. That's the fugliest hack job that I have seen in a while. Probably used one of those old school soldering guns and just started trading out transistors. Price and value depends on your value of Nascar. It doesn't usually get much love from pinheads. I would be looking for something used on Ebay or from another pinhead rather than dumping $500 on the board. Yeah, what Rob said. That board is totally repairable... Whoever told you that just didn't want to fix it, or couldn't. 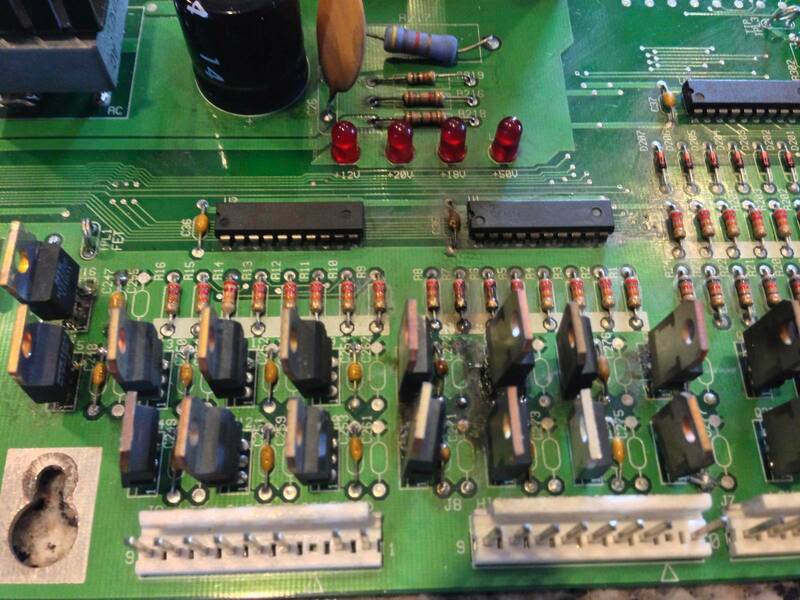 I fixed 2 Data East boards last year that were WAY worse than the pics you posted. Also, from my experience, twobits.com is NOT the place to get parts,diagnostics or repair work done on anything. They have too much overhead to be affordable. I'm with Rob as well. Repairable, but time consuming and pricey. It's one of those jobs that I'd have to be in the right mood to do it. Totally agree. 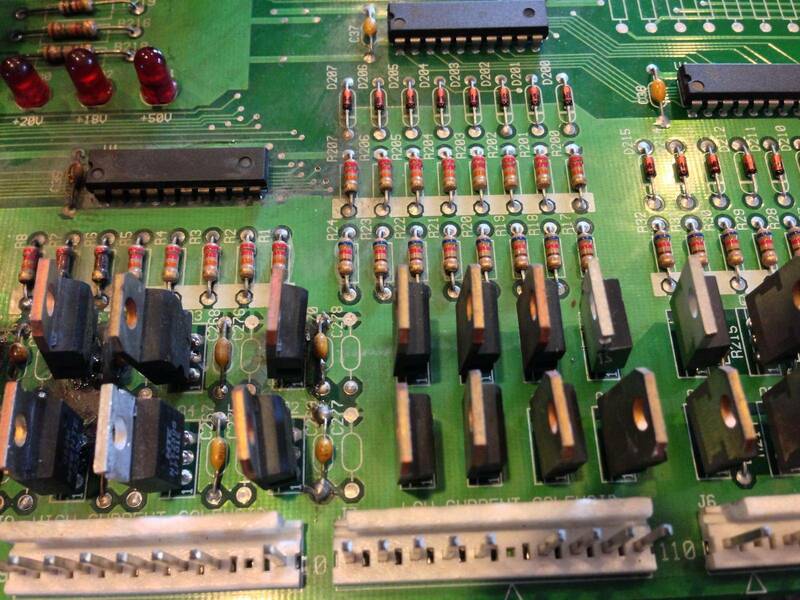 It takes extra effort, care and time to repair hack jobs like this. But they can be repaired and brought back to life. As borygard stated it may not look so pretty when repaired but it will work. I'd see if you could get some ballpark high/low estimates from the repair guys on here. Update: I had purchased this pin at Midwest Gaming Classic from Christopher with King Pin Games in Wisconsin. I hadn't even thought about contacting him about the board issue once I found it, but he saw this post, contacted me, and graciously offered to exchange another I/O board for this one for free. I'm happy to report that the replacement board has worked well from what I can tell thus far. I want to thank Christopher from King Pin Games for excellent customer service. Appreciate all of the other advice I received here as well. Big thumbs up to Christopher! Thanks for the nice words. I try to keep my customers happy. It is all about keeping the customers happy. Christopher, you're a good man!